SANTA CLARA, Calif., July 20, 2017 — Acalvio Technologies, an innovator in Advanced Threat Defense, today announced the immediate availability of ShadowPlex-R, a comprehensive, distributed-deception solution for early, accurate and cost-effective detection and mitigation of ransomware. ShadowPlex-R is based on Acalvio’s patented Deception 2.0 technology, which delivers automated and authentic enterprise-scale deception with low IT impact. ShadowPlex-R integrates with Splunk® Enterprise Security (Splunk ES) to deliver comprehensive threat intelligence and ensure timely and efficient remediation for customers. Acalvio is a member of the Splunk Adaptive Response Initiative, which brings together leading vendors to leverage end-to-end context and automated response to help organizations better combat advanced attacks through a unified defense. Acalvio is offering a free trial of ShadowPlex-R which can be obtained here (https://acalvio.com/ransomware). Acalvio (booth #365) and Splunk (booth #1254) will be participating at Black Hat USA 2017 where security specialists will be available to demonstrate the capabilities of ShadowPlex-R and discuss the benefits of Deception 2.0 technology. The market for ransomware protection is projected to grow to $17.36B by 2021, at a Compounded Annual Growth Rate (CAGR) of 16.3% according to a recent report by MarketsandMarkets. This demonstrates the compelling need for more sophisticated security solutions to address the ransomware problem. Moving forward, it will be important for organizations to utilize a deception-centric solution to detect ransomware for its inherent advantages over traditional detection solutions. Effective Detection: ShadowPlex-R presents attackers with a comprehensive palette of realistic and non-fingerprintable decoys, lures, baits and breadcrumbs that blend in with an organization’s production assets. These serve as sensors and any compromise to them results in very high fidelity detection. Scalable and Flexible Deployment: ShadowPlex-R employs a DevOps approach to deploying deceptions. By dynamically and automatically deploying the most effective and relevant deceptions, ShadowPlex-R dramatically reduces the cost of operation compared to first generation deception products. By delivering deception from and to public clouds, private clouds and on-premises environments, organizations can deploy dynamic deceptions wherever their assets are deployed. Low IT Impact: ShadowPlex-R dramatically lowers the cost of operation while simultaneously increasing efficacy, when compared to first generation deception products, by dynamically and automatically deploying the most effective and relevant deceptions. ShadowPlex™ is a comprehensive, distributed deception platform that provides early, accurate and cost-effective detection of malicious activity within the enterprise. ShadowPlex is built on Acalvio’s patented Deception 2.0 technology which alleviates inherent structural limitations of Deception 1.0 solutions by leveraging data science and dynamic deception. It represents a quantum leap in architectural advancement that delivers scale, automation and authenticity with low IT overhead. ShadowPlex is designed for flexible deployment on-premises, private clouds and public clouds. The platform has pre-built integration with major security information event management (SIEM) systems for delivering comprehensive threat intelligence. Acalvio and Splunk will be hosting a webinar on August 10 at 10 a.m. (PST), where Xuefeng Bai, Senior Solutions Engineer of Acalvio and Vijay Chauhan, Director, Global Strategic Alliances – Security Markets of Splunk, will provide a deep dive on how the companies are providing early, accurate and cost-effective detection and mitigation of ransomware. 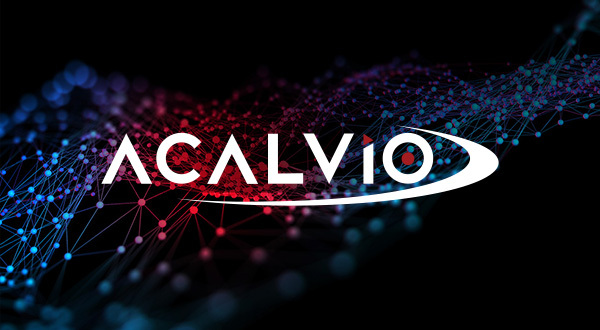 For more information on Acalvio and ShadowPlex, please visit https://acalvio.com/ and follow the company on Twitter at @AcalvioTech and on LinkedIn.